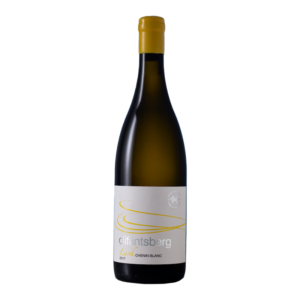 olifantsberg.com is the official online platform on which OLIFANTSBERG FAMILY VINEYARDS shares information about its various activities and business operations, and products that may be ordered online. While we do not share the information we collect on our website with third parties, we do process the information we collect on our websites (registration details, contact details, traffic analysis reports) for in-house purposes: to improve the content of our web pages, to market OLIFANTSBERG FAMILY VINEYARDS brands and products, to fine-tune the behaviour of our websites, to monitor user behaviour, to customize the content and/or layout of our page for each individual visitor and to notify consumers about updates to our website. For the purpose of this clause, “personal information” shall be defined as detailed in the Promotion of Access to Information Act 2 of 2000 (PAIA). OLIFANTSBERG FAMILY VINEYARDS uses Google Analytics, including its Demographics and Interest Reporting, to collect data about your traffic via Google advertising cookies and anonymous identifiers, in addition to data collected through a standard Google Analytics implementation. To provide website visitors the ability to prevent their data from being used by Google Analytics, Google has developed the Google Analytics opt-out browser add-on. OLIFANTSBERG FAMILY VINEYARDS store your registration details in an online mailing list database. You may at any time ask us to remove or edit your details, by contacting us via the contact details provided on the website, or by selecting the unsubscribe link in our newsletters. 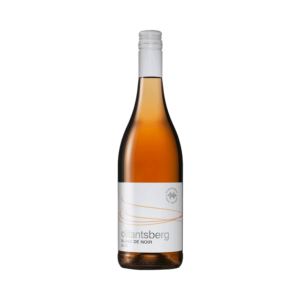 The Website is owned by OLIFANTSBERG FAMILY VINEYARDS and managed by OLIFANTSBERG FAMILY VINEYARDS as content provider and content aggregator. 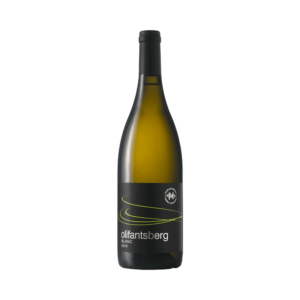 All materials distributed in the Website (the “Materials”) are owned exclusively by OLIFANTSBERG FAMILY VINEYARDS. Except for downloading one copy of the Materials for your personal, non-commercial home use, you must not reproduce, prepare derivative works based upon, distribute, perform or display the Materials without first obtaining the written permission of OLIFANTSBERG FAMILY VINEYARDS. Materials must not be used in any unauthorized manner. Text, legal opinions and advice, photographs and or graphic material, including the OLIFANTSBERG FAMILY VINEYARDS brand and logo (collectively, the “Materials”) shall not be published, broadcast, rewritten for broadcast or publication or redistributed directly or indirectly in any medium. Neither these Materials nor any portion thereof may be stored in a computer except for personal and non-commercial use. License: By transmitting any Message, you are granting to OLIFANTSBERG FAMILY VINEYARDS a perpetual, royalty-free, non-exclusive, and irrevocable right and license to reproduce, prepare derivative works based upon, distribute, perform or display such Message, in whole or in part, in any form, media or technology known or hereafter developed. You acknowledge that Messages are not confidential and they may be read, intercepted by others and widely accessible on the World Wide Web. You acknowledge that by submitting Messages to this Website, no confidential, fiduciary, contractually implied or other relationship is created between you and OLIFANTSBERG FAMILY VINEYARDS other than as expressly set forth in this Agreement. OLIFANTSBERG FAMILY VINEYARDS may change, suspend or discontinue any aspect of the Website at any time, including the availability of any Website feature, database, or content. They may also impose limits on certain features and services or restrict your access to parts or the entire Website without notice or liability. The Website may contain links and pointers to other World Wide Web sites and resources. 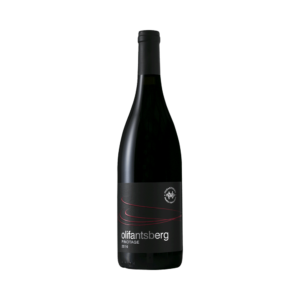 Links to and from the website to other Web sites maintained by third parties, do not constitute an endorsement by OLIFANTSBERG FAMILY VINEYARDS or any of its affiliates of any third party website or content. OLIFANTSBERG FAMILY VINEYARDS are not responsible for the availability of these third party resources or their contents. You should direct any concerns regarding any external link to its Web site administrator or Webmaster. OLIFANTSBERG FAMILY VINEYARDS do not warrant that: (1) the website or the services will be uninterrupted or error free; (2) defects or errors in the website or services will be corrected; (3) the website or the services will be free from viruses or other harmful components; or (4) any information contained in the website, or the services will be accurate or reliable. Notwithstanding any term in this agreement, or other operating term set forth by OLIFANTSBERG FAMILY VINEYARDS, you are exclusively liable for the content of every message you transmit via the website. In no event may OLIFANTSBERG FAMILY VINEYARDS be liable for any direct, indirect, incidental, special or consequential damages arising out of or relating to use of or inability to use the website. This limitation applies whether the alleged liability is based on contract, tort, negligence, strict liability, or any other basis, even if OLIFANTSBERG FAMILY VINEYARDS have been advised of the possibility of such damages. Because some jurisdictions do not allow the exclusion or limitation of incidental or consequential damages, the liability of OLIFANTSBERG FAMILY VINEYARDS in such jurisdictions shall be limited to the extent permitted by law. You hereby agree to indemnify and hold OLIFANTSBERG FAMILY VINEYARDS – and their respective shareholders, members, directors, officers, employees, agents and representatives – harmless from all claims, liabilities, damages and expenses (including attorneys’ fees and expenses) arising out of or relating to: (1) your use of the website or (2) any alleged breach of this Agreement by you. This Agreement may be immediately terminated at any time by OLIFANTSBERG FAMILY VINEYARDS in their sole discretion. In addition and without prejudice to any other remedy available to OLIFANTSBERG FAMILY VINEYARDS, and they may immediately terminate this Agreement if you breach any term of this Agreement or other operating term set forth by OLIFANTSBERG FAMILY VINEYARDS. By using the website, you signify your agreement to the terms of this Agreement. If you do not agree to the terms in this Agreement, you must not use the Website. OLIFANTSBERG FAMILY VINEYARDS may change the terms of this Agreement at any time, and your use of the website after such changes are posted will mean that you accept them. OLIFANTSBERG FAMILY VINEYARDS is a business in the wine industry that produces and sells wine. These terms and conditions apply to any and all orders placed with OLIFANTSBERG FAMILY VINEYARDS. Please read these terms and conditions carefully as the affect your legal rights and liabilities and set out the terms under which OLIFANTSBERG FAMILY VINEYARDS makes products available to you. 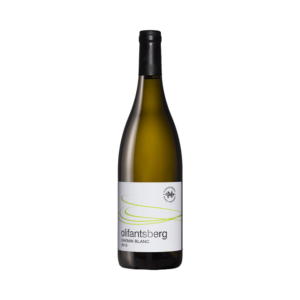 It is expressly implied that by buying any product from OLIFANTSBERG FAMILY VINEYARDS, you accept these terms and conditions. All local prices quoted include VAT currently at 15%, but exclude delivery charges (where applicable) which are calculated at point of sale. Prices quoted are per bottle or per case, as indicated. OLIFANTSBERG FAMILY VINEYARDS reserves the right to vary prices at any time, without notice. All private sales to non South African Residents will be subject to VAT unless shipped through a recognized shipping agent or courier service. All wines listed are subject to availability. In the unlikely event that a wine is not available, we shall contact you to recommend alternatives. You are then entitled to accept the alternative or cancel your order. We shall acknowledge your order via letter or email. Our acknowledgment of this constitutes legal acceptance, at which point a binding contract of sale has been concluded. We reserve the right to refuse any order or application at our discretion. No wine will be sold to anyone under the South African legal drinking age. Subject to availability and receipt of payment, delivery will be made to your door at the address specified on your order or application form. Delivery will be made by arrangement with the buyer or member, on a date indicated as suitable by the buyer or member. Delivery charges will be levied to international destinations. Shipping rates depend on the location of the delivery and the number of bottles purchased. 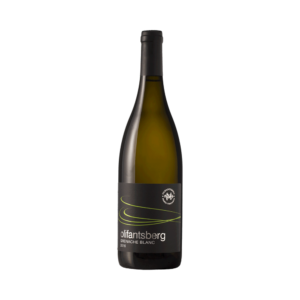 For a quote on international shipping rates, please contact winemaker@olifantsbergwines.com. All deliveries made in South Africa will be by road freight directly to your door. All goods must be signed for on delivery. If no one is available at the address when the delivery is attempted, the goods will be retained by the courier, in which case notification of the attempted delivery will be given. Should the wine order be returned to OLIFANTSBERG FAMILY VINEYARDS, any further delivery attempts will be at your cost. We will not be liable for any loss occasioned by any delay in the delivery of any order. The offering on the online shop on this website is available to residents in South Africa only. For international wine orders and a list of worldwide retailers click here. Our products are insured to the point of delivery. OLIFANTSBERG FAMILY VINEYARDS guarantees the quality of all products supplied, and your satisfaction is our foremost priority. If for any reason you are dissatisfied with your order or the quality of our products, please contact us and return the products within the stipulated 14 days’ period. If we find that the items were faulty in any respect when delivered to you, we will refund you the price of the item(s) as well as the cost of delivery and return of the items, within 30 days of our receipt of the returned items. You will be deemed to have accepted the order should you not return the products within the 14 days’ period. Where you have paid by credit card, we will process any refund to the credit card used for the purchase. In any other case, we will refund you by cheque or EFT transfer. Payment will only be accepted by Visa, Master Card, Diners’ Club or American Express credit cards, or by EFT into our bank account. OLIFANTSBERG FAMILY VINEYARDS’s liability to you in connection with or arising from any order will be limited to a maximum of the price charged for the relevant items, our delivery charges and any reasonable and necessary return costs arising from the order. These terms and conditions shall be governed by and construed in accordance with the laws of the Republic of South Africa. The courts of the Republic of South Africa shall have exclusive jurisdiction to determine any dispute connected with any orders placed with OLIFANTSBERG FAMILY VINEYARDS. If any of these terms or conditions are held by a court of competent authority to be unlawful, invalid or unenforceable, in whole or in part, then such terms or conditions will be regarded as severable, and will not affect the validity of the remaining terms and conditions which will continue to be valid and enforceable to the fullest extent permitted by law. OLIFANTSBERG FAMILY VINEYARDS may, at its sole discretion, change these terms and conditions or any part thereof at any time without notice. However, the terms and conditions published here at the time when a specific order is placed will govern that specific order and all matters incidental to the specific order, notwithstanding any amendments which OLIFANTSBERG FAMILY VINEYARDS may subsequently make to these terms and conditions. Contact us should you have any questions, suggestions or comments. We appreciate your patronage and strive to provide you with exceptional service.